Pandora by Haute Florist serves those special occasions, pleasing is an art and available for UK next day delivery. 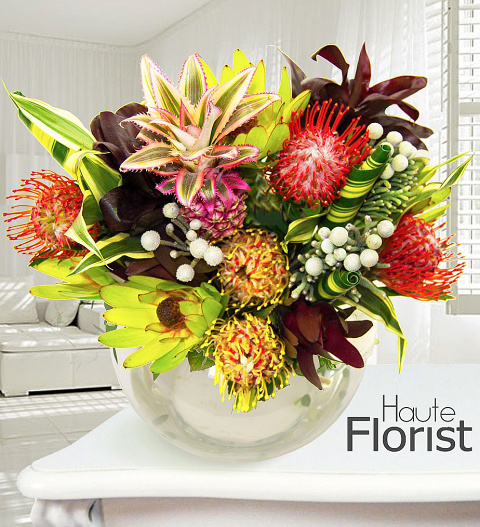 This jubilant arrangement is expertly arranged with bromeliad pineapple, brunia, leucodendron, cordyline and leucosperman. A tropical marvel expertly hand-tied that is sure to wow your recipient. The Pandora bouquet is presented in a luxury wrap and bag.